The industrial furnaces production is the field in which Campana Forni works for more than 30 year, through its installations and its professionalism. In addition to production, Campana Forni also takes care of maintenance and repair of industrial furnaces, and also performs works of carpentry. The industrial furnaces production is a field in which a lot of skills are required: it is necessary to have the right tools, but most important is the professionalism of the ones that work in it. Campana Forni workflow develops through different steps, represented by the passing of the torch and the collaboration among different types of professionalisms and experiences. The process begins with the analysis of needs and requests of the client. The heat treatments are various and different, so depending on the result wanted it will be necessary to act differently. 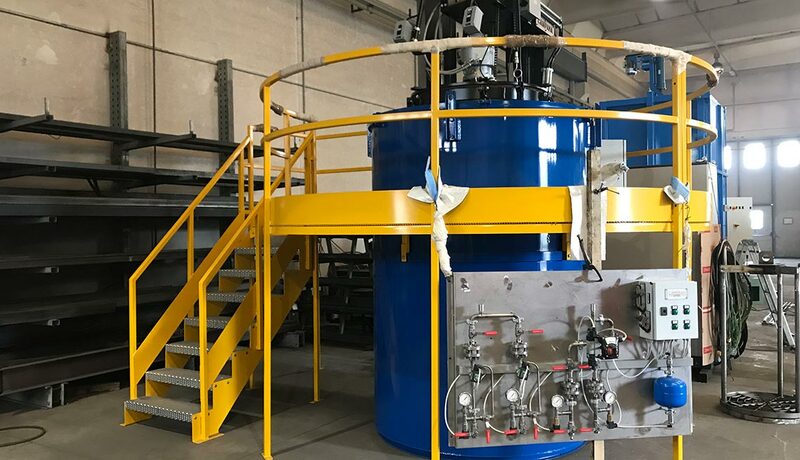 Industrial furnaces production sees as following step the designing of the machine by the engineer’s team, that verify the structural and functional characteristics of the system. The team makes an analysis and defining of the mechanical and structural elements, as long as the automation ones and the heat/isolation computation. Then they proceed with an assestment of the most suitable type of heat treatment, considering the client needs. After the realization of the project, the real industrial furnaces production phase begins, thanks to the work of the qualified workers team. It will be their job to give life to the draw on the papers, through a work of selection of the best materials and their assembly. Within the industrial furnaces production by Campana Forni is also included the final test phase, realized in order to guarantee the correct functioning of the machines. Over the industrial furnaces production, there is the assistance work that is performed by our technicians, available in the 48 hours following the request to made interventions of restoration and improvements on our and third part machines. If the machines are realized by Campana Forni, besides, the guarantee will also cover the part not subjected to wear. By choosing Campana Forni you choose a professional work, complete and characterized by the extreme availability of the team and the quality of the materials.